Football and EA SPORTS FIFA have been a big part of my life from an early age. My dad loved football and so, naturally, it was all around me throughout my childhood. He and I would play together a lot and that continued as I became more and more interested in FIFA. I loved the game, but I never really considered myself for its esports scene, that is, until I tuned into the stream of the FIFA Interactive World Cup Final in 2014. Watching the final play out, I knew that I was capable of playing at the same level as the guys I was watching on screen, if not better. I got the chance to prove it to myself just a couple of months later. I entered my first FIFA esports tournament, The Danish Championship, and sure enough, I progressed through the event to the final. 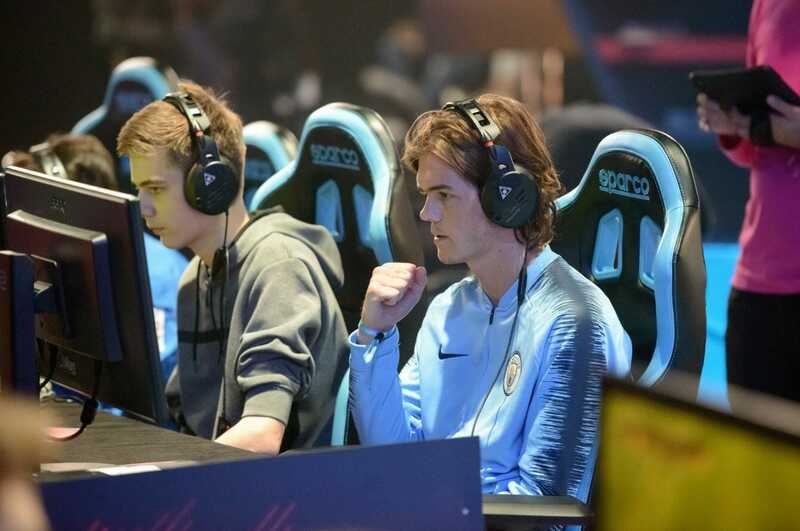 It was in that final that I faced off against the player I had seen on stream lifting the FIFA Interactive World Cup trophy just a few weeks earlier, a fellow Dane and a guy who would become not only one of my best friends but also my fiercest sparring partner, August ‘Agge’ Rosenmeier. I came off second best that day, but from that moment on I was hooked. I played more and more until I reached the point I’m at today. The Danish Championship was the first time Agge and I met one another. I’ve learned a lot from him since then; he’s a role model to me. It’s more about the person he is than the player. He’s very humble and nice to every other competitor – though he doesn’t really have any reason to be as humble as he is, at least not in my opinion. He has all the traits I’m looking to emulate as I develop my own career. I’m rooting for him in every match he goes into and I know he does the same for me… unless, of course, we find ourselves facing off against one another at a tournament. 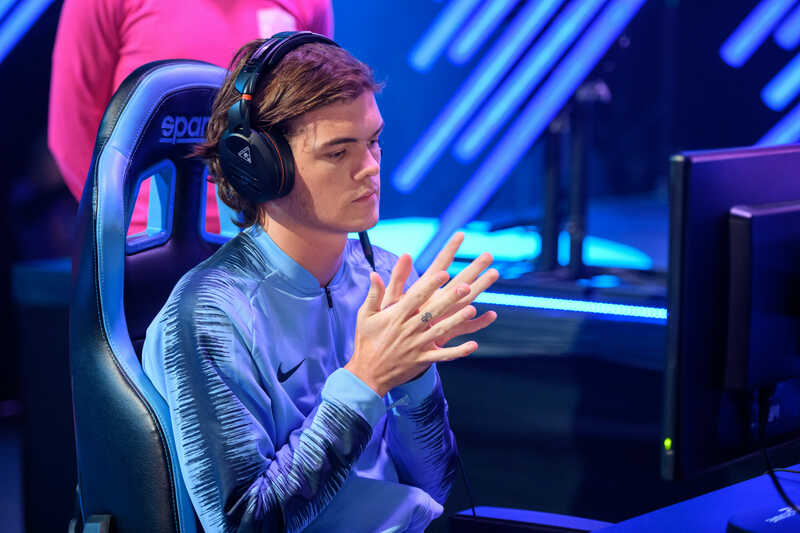 Agge and I are destined to play against each other in the group stages of the upcoming eWorld Cup in August, just as we were last year in the FIFA Interactive Club World Cup. The Interactive Club World Cup was my last chance to qualify for the 2017 FIWC. Only a strong finish at the event would ensure that I got the opportunity to play on FIFA’s biggest stage. 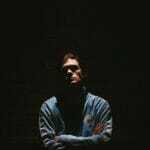 I was representing Brøndby at the time – joining a Danish team had been a huge step for me and I was determined to do well for them, though I don’t think anyone really considered me to be one of the tournament favourites. August and I met in the semi-final and this time around, everything went my way and I was the one walking away with the victory. It was a huge moment for me, but it was also one of mixed emotions. Of course, it was an incredible achievement for me, and for my career, to progress to a Grand Final, but at the same time, I felt a great deal of empathy for August. I had to put that all out of my mind as I sat down for the final; I had to try and relax. I don’t think the reality of what that game and that tournament meant to me until I got my hands on the oversized cheque. It confirmed to me just how far I had come, how much I had accomplished and how good I was. I always knew I had the potential, even if no-one else really believed in me, so for me personally, it was like I was delivering on a personal promise and raised my level of expectation going into future tournaments. A week later I was back on stage for the Grand Finals of FIFA Interactive World Cup and I was just happy to be there in honesty. I didn’t really have a chance to refocus after my exhausting tournament win and as a result, I didn’t make it further than the Group Stages. As it happened, my contract was due for renewal after the World Cup, but after my contract with Brøndby expired, Manchester City approached me. It didn’t feel real, one of the biggest football clubs in the world was asking me to wear their jersey. I’ve always put pressure on myself to perform and the fact that I’m now playing for Man City hasn’t changed that. But everything is so much more professional here than I could’ve imagined, everything has to be perfect. In a light-hearted way, a big part of my reputation now is linked to pursuing perfection. Hearing commentators refer to me as “Mr Friday 40-0” always makes me smile, I think it’s very funny. Let me explain. The nickname is a result my Friday ritual, where I will play all of FIFA’s 40 ‘Weekend League’ games in one sitting. Initially, it was because I had a girlfriend at the time who worked all day Friday, meaning I had a lot of free time to play the game and an opportunity to free up as much time for us to spend together over the weekend. As odd as it sounds, it made more sense to play 40 games back-to-back over the course of 12 hours than it did to spread them out over the course of a few days. The first 15-20 games of the streak are fairly straightforward, mostly because of the way the matchmaking system works (the level of opponents isn’t great). At the 20-30 mark, I start to come up against the pros. I might play 2 to 3 pros every weekend and those games usually fall within the 20-30 mark, just as you’re beginning to tire. After 20 games, you’ve already played a minimum of 5 hours straight, so when you match against a pro at that point, it’s a real test of mental strength; you need to be able to maintain your focus. If you can survive that 10 game period with your record still intact, the games after the 30 mark are like an open goal; you’ve just got to tap it in. Honestly, I never feel nervous loading into the 40th game of a run, by that point I’ve already proved myself. It’s not about having the 40 game wins to your name, it’s the display of mental strength. None of my rivals are going to be worried that I can beat 35 or so casual players, but the ability to maintain your level of performance throughout a 12-hour grind, that’s an achievement people sit up and take notice of. Being strong mentally is a big part of FIFA esports and this past year has really tested that side of my game. After last years results, I felt that I was one of the best players in the world heading into this season’s tournament circuit. Everything seemed to be on track during my first major competition of the year in Barcelona as I progressed from the Group Stages with a 6-1 record. We went straight into the knockout stages the very next day and I just didn’t get up to speed. I was knocked out in the Round of 32 and had to watch the rest of the tournament from the sidelines. It was a really painful experience for me. As I watched the guys play out the final, I couldn’t help but think the whole time that it could’ve been me, it should’ve been me. I fought hard to prepare myself during the weeks leading up to the next event in Manchester. As the tournament came into view, however, I learned that my uncle had died at a very young age – it was tough for me to come to terms with. It was obvious from how I played that my head wasn’t in the right place and I was smashed by AndoniiPM in the first round of knockouts. That was my lowest point. Things could only go up from there. Amsterdam provided an opportunity for me to redeem myself and I grabbed it with both hands. I smashed it. 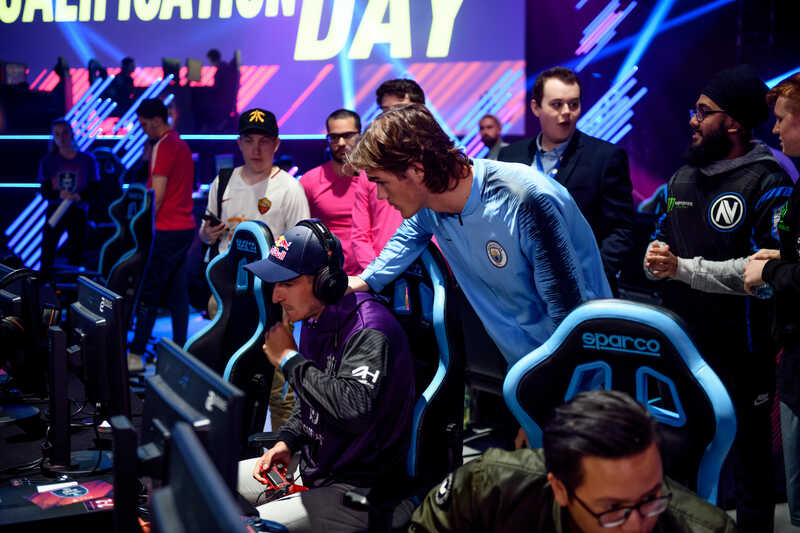 That tournament was a rallying cry for me, not only sealing my qualification for the Grand Final of FIFA eWorld Cup in London with a top 4 finish but on a personal level, I took my revenge over Andoni as I progressed through the knockout stages. It reset my mindset with the biggest FIFA esports tournament to date on the horizon. I’m mentally prepared for this eWorld Cup and I have my sights set on winning the whole thing; I’m playing the best FIFA of my life right now. I genuinely believe I can go all the way in this tournament and after what I’ve achieved and the setbacks I’ve recovered from this past year, no-one should be thinking otherwise.